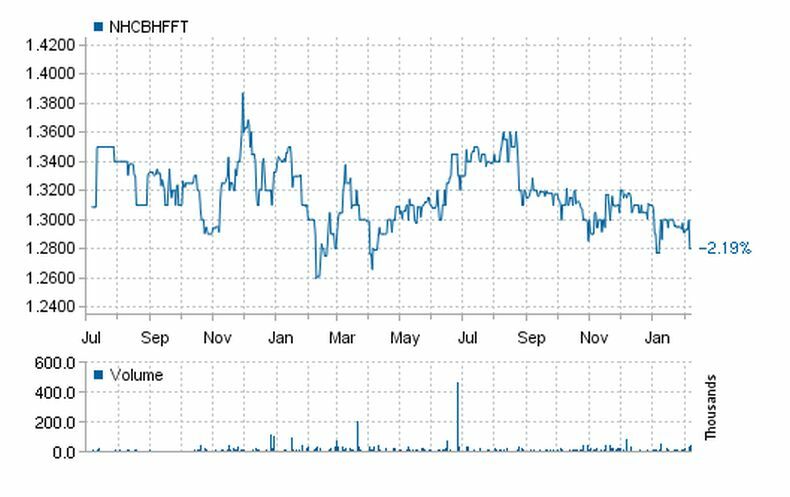 Baltic Horizon Fund has been on my radar since the August 2017. Actually first spotted in March 2017, while doing a quick research on Top Dividend Paying stocks in the Baltics. Despite being listed on Nasdaq Tallinn (aka Nasdaq Baltics) I was not able to purchase fund units from my existing brokerage account. After I sent a short message both to the fund managers and my current broker, informing about the problem I was facing (and I believe a dozen of other customers with a brokerage account in Latvia) the problem was solved and I was able to purchase Baltic Horizon Fund units. Sometimes all it asks is just a brief message. Disclosure: I'm not a financial advisor and I don't give you any advice, I'm just sharing my own experience. Investments in stocks, funds or bonds are risk investments and you could lose some or all of your money. Do your due diligence before investing in any kind of asset. As this fund is relatively new, established just in 2016, the track record for dividend payments is little more than just one year, but from observations on Nasdaq Baltics, Baltic Horizon fund in 2017 made dividend payments in February, May, August and November. If the quarterly schedule is kept - I'm a happy hippo, because right now 3 out of 4 from these months for me are almost empty in terms of dividend income. There are a couple of things worrying me about this purchase - investments in developing economies. The economies of Baltic states right now seems are experiencing growth. Or, let's say - we are in the bull market, but what will happen during upcoming bear market? As I've been investing in Baltic equity market since April 2017, currently (2018) my capital has been exposed to some 16 great companies listed on the Nasdaq Baltic stock exchange giving a combined dividend yield on cost 5.00%. I'm happy to add Baltic Horizon Fund to my portfolio to diversify even more. Well, if you can say so - If things will go South in the Baltics, most probably most stocks and funds will follow. Baltic Horizon Fund units are available for trading on Nasdaq Tallinn Stock Exchange. The Fund is a public fund with no particular lifetime (evergreen). Units of the Fund are made available to the public in accordance with the Fund rules and applicable laws. Baltic Horizon’s primary focus is to invest directly into commercial real estate located in Estonia, Latvia and Lithuania with a particular focus on the capitals – Tallinn, Riga and Vilnius. The Fund will focus on established cash flow generating properties with the potential to add value through active management within retail, office and logistic segments in strategic locations and strong tenants or quality tenant mix and long leases. Up to 20% of the Fund’s asset may be invested into forward funding development projects. The Fund aims to use 50% long term leverage strategy. At no point in time may the Fund’s leverage shall exceed 65%. The Fund aims to continuously diversify the risks geographically, across real estate segments, across tenants and debt providers. As an international asset manager Northern Horizon Capital is dedicated to good corporate governance principles. Baltic Horizon has an independent boards and we strive to have a transparent, fair and professional dialogue with our investors. We only invest in properties where our investors can expect a steady income stream and have a good chance of a medium-term capital gain. We are actively focusing on minimizing and managing any potential downside risks while protecting the full upside potential of our investments. We will refuse any investment opportunity which challenges our integrity or is in conflict with our mission statement and core values. Each individual property is assessed upon acquisition as well as on an annual basis by independent valuators in compliance with the International Financial Reporting Standards (IFRS) and local valuation methods. That said, I'm very satisfied adding Baltic Horizon Fund to the existing Nasdaq Baltic's portfolio. Depending on the results in 2018, I might increase my share in this fund at the end of the year. Time will show.